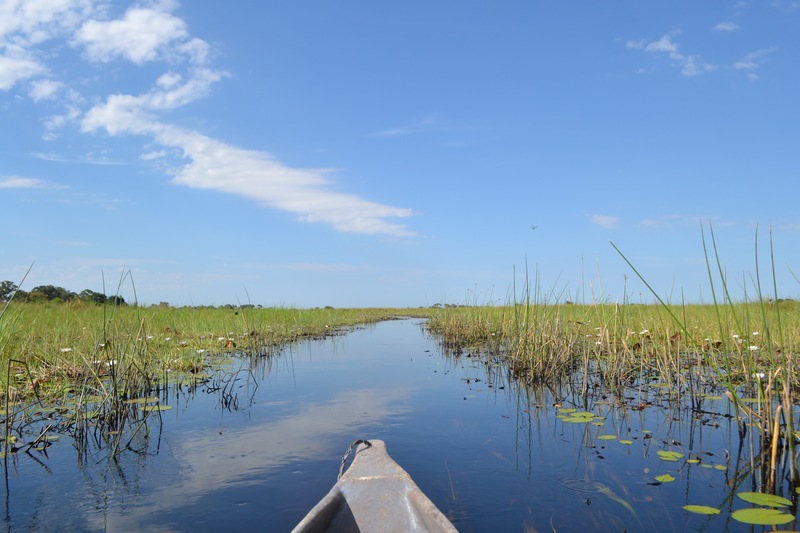 The tour I am on included a night spent in the Okavango Delta and two walking safaris. 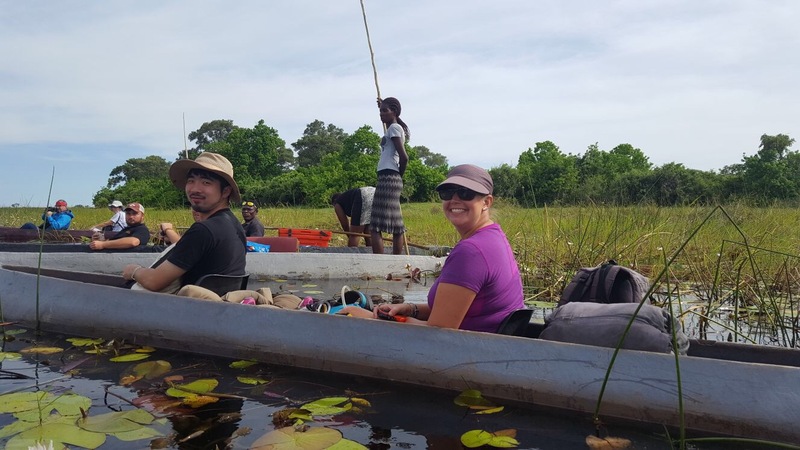 Transportation was via mokoro, which is like a canoe. They used to be made of wood from the sausage tree, but now they are made of plexiglass. We had two extremely peaceful rides. Fellow traveler Kim and me heading into the Delta. We also learned to pole, but none of us was very good. Those photos are to come. This entry was posted in Africa, Peace Corps, Wednesday photo and tagged Africa, Botswana, Travel. Bookmark the permalink.